Zubair Torwali lives in Bahrain, in the Swat Valley of northern Pakistan, and is a social, cultural, civil society and human rights activist, author, journalist, researcher, and the most powerful voice for the rights of all the marginalized linguistic communities of his region. He has been justly called “The voice of the unheard”. In 2007, he founded the Institute for Education and Development to work to give an identity to the ethnic minorities such as the Torwali, Gawri, Gujars and others. Eight years ago the Torwali people didn’t know who they were. He began to write “Torwali” as his family name and since then over 1200 youth began writing Torwali with their names, a move which has given immense confidence to this indigenous people, who are no longer ashamed of their unique identity, but rather feel pride in it. Through his writings and media engagements, Zubair Torwali has made the Torwali community known both within Pakistan and internationally. The focus of International Men’s Day is not restricted to men, but includes boys, women, teenagers and children. The underlying message is that ongoing conflict among men, women and children must cease and the healing must begin. 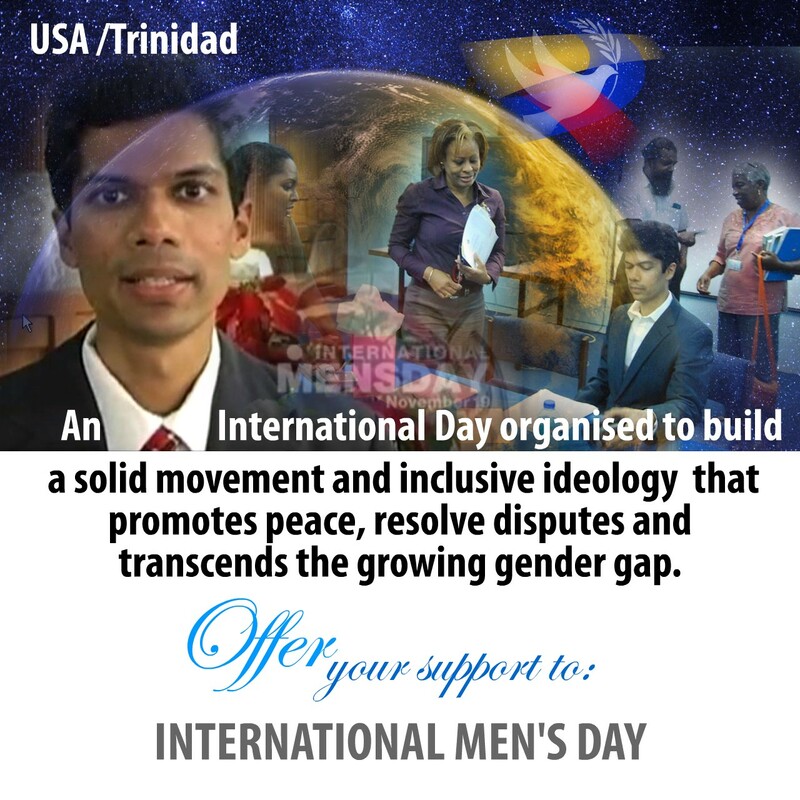 The observances of International Men’s Day are part of a global non-violent revolution. It is annually observed by persons who support the ongoing effort to improve lives, heal scars and seemingly irreparable troubled minds, seek solutions to social problems, help the dysfunctional, promote positive role models in society and develop wholesome individuals. Such developments are badly needed in today’s wounded communities which reflect distorted and outdated beliefs and constant clashes among men, women and children which unravel the fabric of the family and society. Annual themes of International Men’s Day have focused on health, gender relations and fatherhood. Also discussed are themes relating to gender inequality, religion, class, violence, ethnicity, poverty, environmental protection and nationalism.